Ensuring the cleanliness of machinery and contact surfaces is a continuous challenge for all companies engaged in the processing, packaging, and preparation of food and beverages. Commercial operations ranging from slaughterhouses and canneries to seafood processing plants, dairies, wineries, breweries, and restaurants all must maintain the highest sanitary conditions. Traditional approaches to cleaning food-processing equipment and facilities have generally relied on the use of acid or chemical solvents and high-pressure washes to dissolve and rinse away the grease, grime, and bacteria that build up on contact surfaces. While chemicals can be effective in removing these contaminants, they can pose a potential danger not only to the person applying them, but to the environment and the surface upon which they are applied. As for high-pressure rinses, while a safer approach than solvents, they typically won't clean surfaces effectively—even when used in conjunction with labor-intensive scrub brushes—as they leave behind grease and oils. Sodium bicarbonate has long been utilized as a household cleaner, deodorizer, and sanitizer. Its use in toothpastes, mouthwashes, as an antacid, and as a leavening agent in baking attests to its safety for human consumption. Moreover, it has been proven to be safe and effective in cleaning food-processing facilities and commercial kitchens—and does so without the use of caustic or acid-based compounds. Alone among commercial sodium bicarbonate products, ARMEX has been approved by the U.S. Department of Agriculture as an A-1 cleaner—suitable for use in areas that come into contact with food. Specially formulated for media blasting applications, sodium bicarbonate, or baking soda, is a non-destructive blasting media that won't damage valuable machinery. It ranks only 2.5 on the Mohs hardness scale—just above talc and well below that of most competing abrasives—and can safely clean a variety of materials without damaging the surfaces being cleaned. Because sodium bicarbonate break upon impact with the surface being cleaned, baking soda crystals' energy is dispersed along the substrate rather than penetrating it—helping to optimize cleaning power while generating little or no heat. As such, soda blasting will not warp machinery or other food-contact surfaces during cleaning, nor will it cause any thermal sparking. Sodium bicarbonate is non-toxic, non-caustic, and non-corrosive. It carries a "0" rating, the lowest/safest such score under the Hazardous Materials Identification System (developed by the American Coatings Association as a compliance aid for the Occupational Safety and Health Administration's Hazard Communication Standard) for health, flammability, and reactivity. As such, it is safe for use on all food-production/preparation surfaces, as well as by the operators who clean them. ARMEX offers six formulations that can be used to quickly, effectively, and safely clean the interior of food-processing and beverage machinery, as well as the surfaces commonly found in food-processing and beverage facilities. Each formulation is geared to the type and degree of contamination to be removed. Cleaning food and beverage processing facilities with ARMEX requires the appropriate blast equipment. ARMEX can be applied in either dry, wet, or vapor form, and both portable and contained blasting system configurations are available, depending on the dimensions of the item to be cleaned. 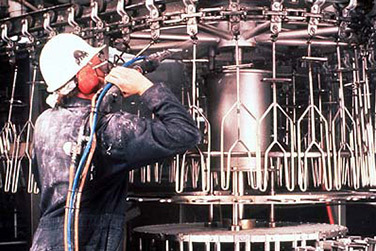 While dry blasting is the most common application technique, vapor abrasive equipment can be used to apply ARMEX in a wet application to help clean areas where a dry abrasive might not be ideal application method. Moreover, wet application of ARMEX can help minimize dust and reduce both clean-up time and costs. For best results, customers are advised to consult an ARMEX Authorized Distributor, who can supply both compressed air delivery equipment and pressure washer injection attachments. Unlike many competing cleaning methods, soda blasting is a one-step process that avoids the need for pre-washing beforehand and manual scraping afterwards. Using ARMEX, operators can clean-in-place process equipment and other vessels without disassembling them, allowing for quick and easy removal of oil, carbon, food residue, dirt, contaminants, protein buildup, biofilm, surface corrosion, mildew, and paint. Dirty, greasy, and oily parts can be put directly into a contained blast cabinet and cleaned with ARMEX—eliminating the time, chemical, and disposal costs that are typically associated with prewashing. ARMEX is an excellent single-use degreasing medium—of particular importance in food-processing facilities—that avoids reintroducing contaminants to surfaces during cleaning. It safely cleans by coating oils to release them easily from a surface, rather than by dissolving or emulsifying them. Slightly alkaline by nature, baking soda reacts with cooking and organic residues, which are typically acidic, to create bubbles of carbon dioxide at the point of surface contamination, lifting the residue. By contrast, oil-dissolving solvents used in some food and beverage facilities to degrease can contain properties that make them unsafe for human use and toxic to the environment. Use of such oil-dissolving solvents can require installation and maintenance of a ventilation system to remove harmful gases and vapors from the work environment, as well as the use of industrial grade personal protective equipment. Cleaning food-processing facilities is a continual and necessary requirement to ensure customers' health and safety. Because ARMEX can be safely applied alongside facility workers, there is no requirement to shut down operations while equipment is being cleaned, preventing costly downtime. As such, soda blasting is commonly used in recurring cleaning applications such as removing soot and/or smoke damage, which can result from either accumulated buildup over time in a smoke house or a kitchen fire. As a soft, blasting media, sodium bicarbonate is suited for use in cleaning a wide variety of materials involved in the food-processing and service industries—including aluminum, rubber, neoprene, plastics, nylon, ferrous and non-ferrous surfaces, stainless steel, fiberglass, ceramic tile, stone, wood, concrete, and masonry—in one step dislodging residues and absorbing odors. ARMEX is commonly used to clean conveyor belts, peelers, polishers, vats, tanks, chillers, kettles, hoppers, floors, doors, walls, vents, heat exchangers, bearings, seals, gaskets, and rotating equipment. It is also safe for use on and around bearing and moving parts. Critically, baking soda is also water soluble. That means spent soda can be easily rinsed away after cleaning to avoid particle entrapment and clogging of tiny passageways and tight contours in machinery, which can cause critical failures and void warranties. 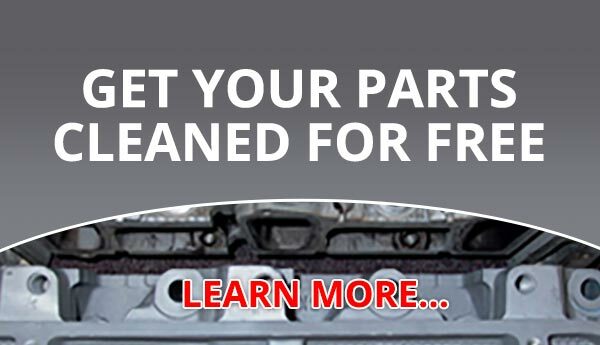 This feature can also eliminate the need for some disassembly, or masking, of parts during cleaning—and therefore reassembly or masking removal—saving yet more steps, time, effort, and money. Soda's water solubility also makes it easily disposed of following cleaning. Unlike some other abrasives, biodegradable baking soda does not require specialized discharge procedures and instead dissolves in water that generally can be released directly to sewage treatment systems. In fact, sodium bicarbonate is widely recognized to be useful as a buffering agent to maintain proper pH levels in sewage and septic systems. Once the sodium bicarbonate has dissolved, the contaminants remaining can be removed and disposed of properly.